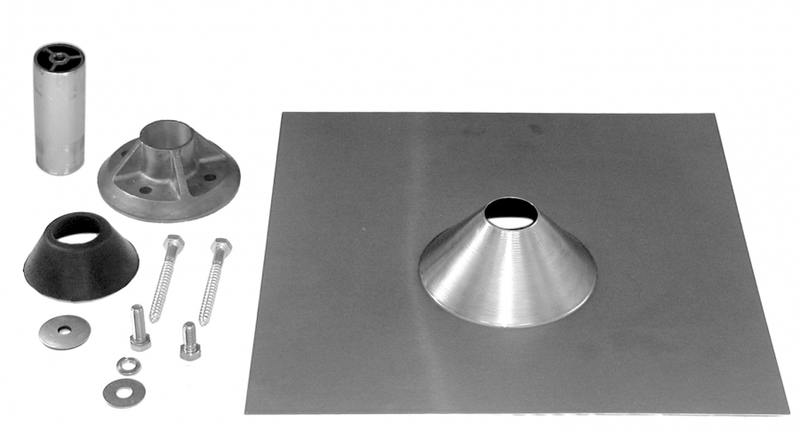 The QBase QMNC Composition Mount is the strongest and most cost-effective method for installing solar panels during the construction of new composition/asphalt shingle roof for either a new home or a roof replacement. The base-and-post mount is specifically designed to fit into the workflow between the trades to make solar panel installation smooth and efficient. While the QBase Composition Mount can also be used for retrofitting solar to a composition/asphalt shingle roof, our Classic Composition Mount is the more common choice for retrofits. We can help you decide which option is best for your job.